Devs at the Ethereum Foundation and at a start-up called Matter Inc have launched on testnet a Plasma scaling solution that uses ZKSNARKs to allow for 500 transactions a second or more. 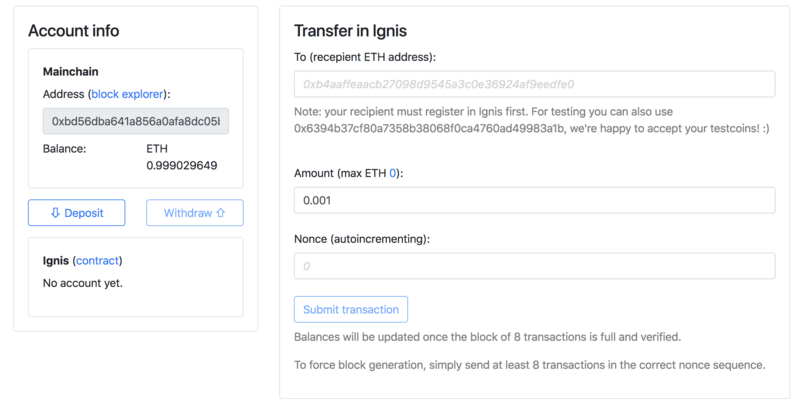 “In Ignis verification of transactions by users is replaced by the following approach: operator(s) proposing blocks must submit a SNARK proving that the new block is correct, which is verified automatically by the smart contract. No incorrect block can ever be included by an operator, so users do not need to always be online and constantly monitor transaction activity. 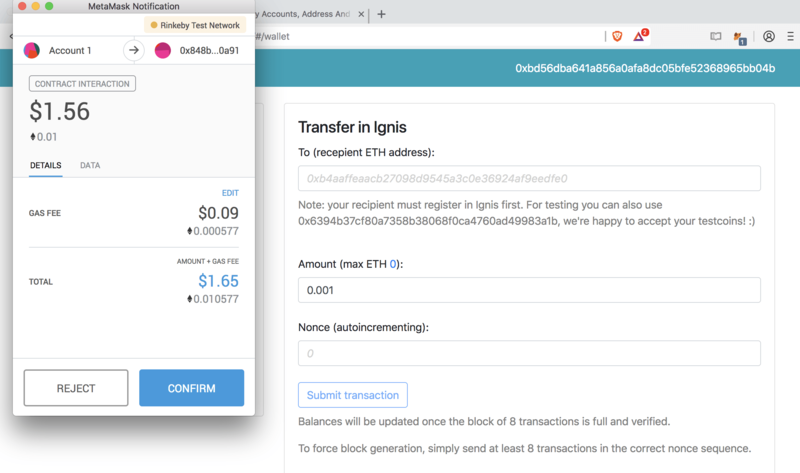 Now the dapp tells us we have 0.01 testnet eth. We try to send a tenth of it to the testing address, but nothing happens. It may have been due to the Brave Browser, so we drop the shield. We’re also told to try adding a 0 where it says Nonce. It works. We have to make eight such transactions because they’re sort of bundled into blocks. 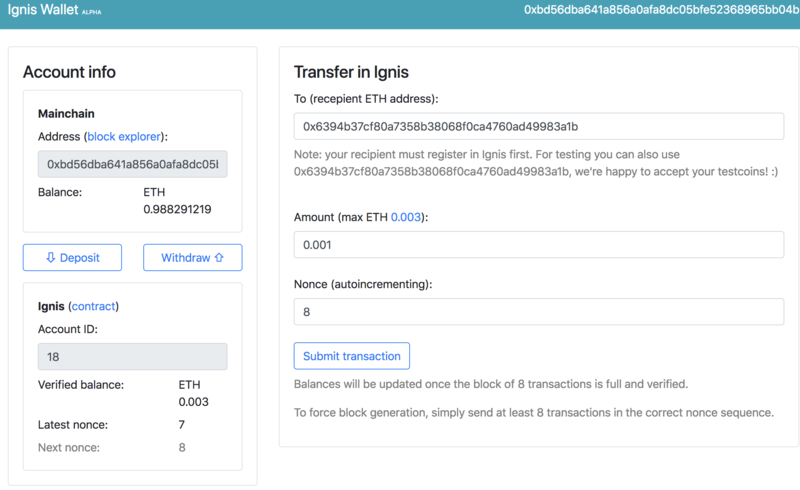 Then our 0.01 eth shows as just 0.003 eth. Someone else presumably made a transaction in the meantime because we only made seven. It works and fairly smoothly. Our work here done so we want our remaining eth back. We tried a partial exit, but that’s apparently under the hood so we had to wait for seven more transactions.